Estates Gazette: Most Active City Fringe Agents! Anton Page are pleased to announce that we have been named as Estates Gazette’s third most active City Fringe Office Agents for Q1 2017. 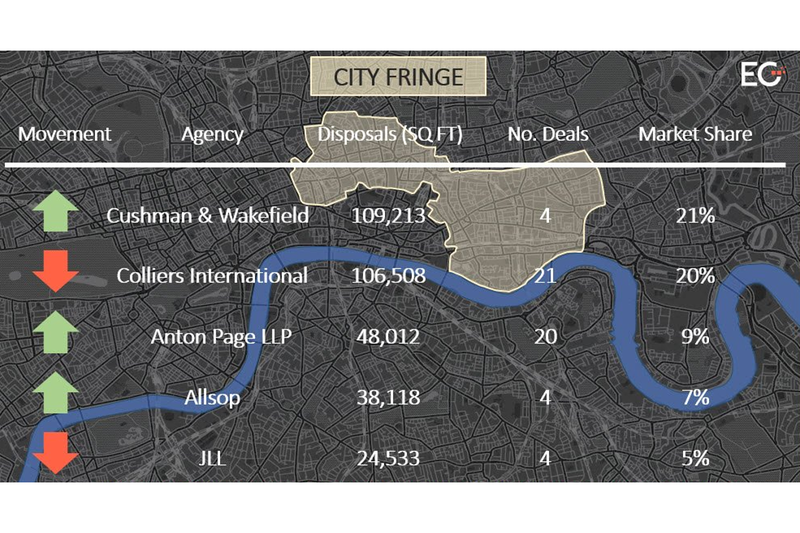 With 20 deals having been completed in the City Fringe between January and March, at a total of nearly 50,000 sq. ft., we are off to a positive start for 2017! We currently have over 50 opportunities to rent or buy properties in and around Clerkenwell, Shoreditch, Kings Cross, Holborn and Hackney with space ranging from 255 sq. ft. to 16,184 sq. ft.